Eventbrite is a robust web based event management software that will help you manage ticket sales, promotion, information collecting and more for your event. In this post, I’ll share my top 13 reasons to use Eventbrite for events. I’ve written about using Eventbrite to get accurate RSVPS before, but this post will go more in depth about its features as well as a way to save $100 in fees for new members. Keep reading for that. I first started using Eventbrite as a non-paying user when I was organizing weekly dinners for college students. Using Facebook events never yielded accurate RSVP lists and I knew there had to be a better way. Eventbrite is free to use if you are not collecting money for your event. Eventbrite integrates with Facebook and will tell event goers which of their friends will be attending the event as well. 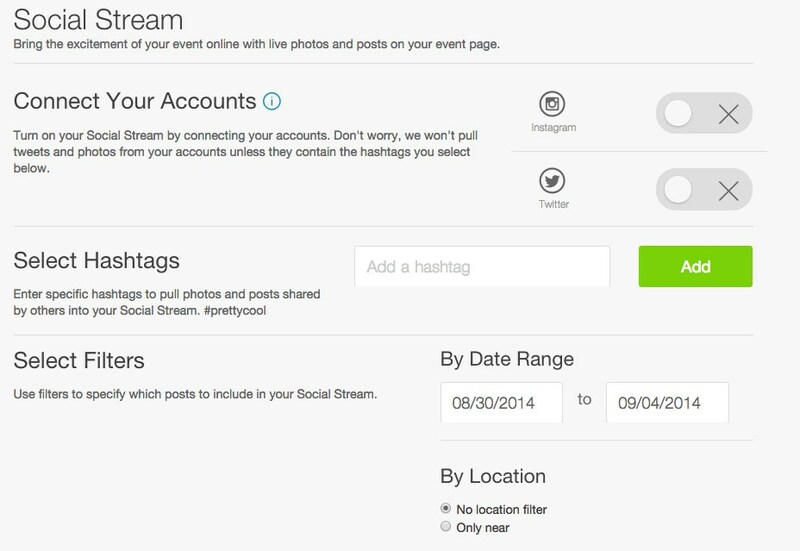 As an event organizer, when you link your social media accounts (Twitter or Instagram) you can pull in photos posted during or after your event using your event hashtag. 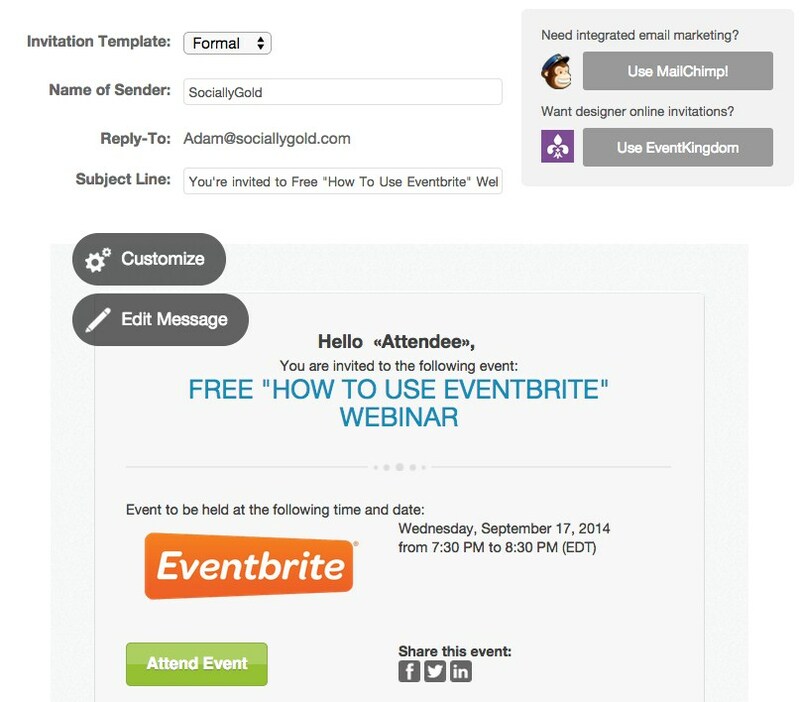 Eventbrite makes it easy to communicate with your event attendees with a built-in email system. A reminder email is automatically generated, which sends 24-hours prior to to the start of your event. You can also modify the auto-mated response that is sent to the registrant. As an event marketer, you may need to incentivize people to attend your event with a discount. I offer discounts to subscribers of my blog for my social media trainings. Eventbrite has a built-in system to encourage your event goers to encourage their friends to sign up as well. You can set a monetary incentive for friends to invite friends. I suggest adding a link to the affiliate program in the automated response email sent to registrants once they sign up. I only do this for paid events. The PayPal processing fee is 2.9% plus $0.30 per transaction in USD (fees vary by country/currency and are subject to change at PayPal’s discretion). The processing fee is just 3% of the value per transaction in U.S. dollars (3.5% internationally), and all fees are collected automatically (no monthly invoices to pay). Whichever service you decide to use to process payments, you are still responsible for Eventbrite fees, which are separate from credit card processing fees. Eventbrite charges 2.5% of the ticket price and $0.99 per ticket sold. If you use Eventbrite to process payments while using Eventbrite, you’ll pay less in fees then what you would pay by using PayPal. Eventbrite will direct deposit into your bank account 5 days after the event is over. Once you have received your payout, you won’t be able to use Eventbrite to refund any tickets. A new feature to Eventbrite will let you have registrants pick their seats, similar to picking one on an airplane or for a concert. First time Eventbrite users can save $100 in fees with this promotional offer. If you need help setting up your first paid Eventbrite event, contact me and I’ll help you set it up or I can look it over to make sure you are using it effectively. Contact me to learn more. If you’re a 501 (c ) (3) organization, you are qualified to receive a reduced service fee of 2.0% + $0.99 per ticket. Standard credit card fees still apply. Want to learn more about Eventbrite? I’m hosting a free “How to use Eventbrite” webinar on September, 17 2014 at 7:30pm EST. Register now because this webinar will fill up fast!